What is a Companion dog ? A Companion dog is a totally balanced and calm dog you can take anywhere without any doubts. You are in full control of the dog, because it has full trust and faith in you. It can overcome any situation with you without fear, because your relationship is based on trust and the bond between you both. The training needs more or less one year depending on the dog owner. 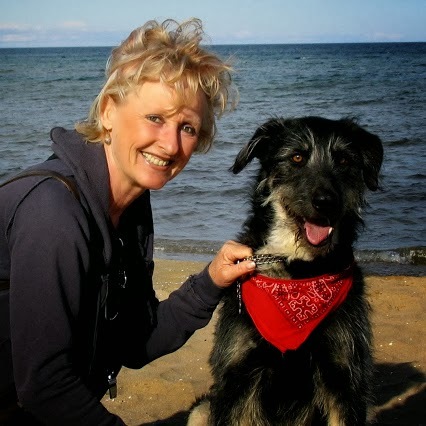 Once the course is completed you will receive a certificate confirming, that you are a good packleader and that your dog passed all necessary and difficult stages to become a Companion dog. Teaching your dog to be a Companion dog is on a high level and requires a very good understanding of communication with your dog. Blind dog, Sniffer dog of any kind, medical dog etc. There is nothing more rewarding than having a Companion dog with you. Here you learn how to raise a puppy in the right way with all consequences, so there won't be any problems later. The goal of every dog owner should be to take the dog everywhere with you without any problems. - what does my puppy need at what age ? - what are the most important subjects in the education ? What has to be taken care of when adopting a dog from the shelter ? Here you learn the most important steps, which have to be taken care of to avoid later problems.